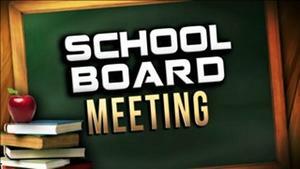 Reminder: The February 11, 2019 School Board Meeting will be held at the Elementary School Cafe at 6:30 PM. The public is encouraged to attend. 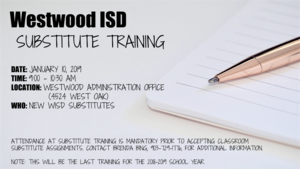 Substitute training will be held January 10, 2019 from 9:00-10:30 AM at the Westwood Administration Office. 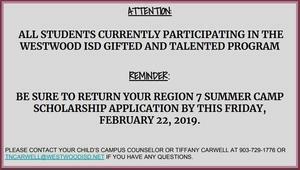 Anyone wishing to be a substitute for the district will need to attend this mandatory training prior to accepting an assignment. 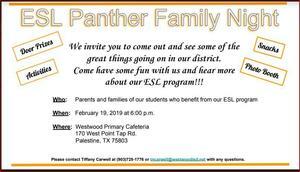 This will be the last training for the 2018-2019 school year. The Westwood band will present their Holiday Concert on December 13, 2018 t at the Palestine Civic Center at 6:30 PM. It is an event you don't want to miss! 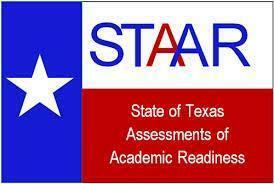 We have information for parents to gain access to their child's STAAR scores. Please see the flyers on how to access your child's account. The Approved Calendar for the 2018-2019 School Year Is Now Available! The new calendar for the 2018-2019 school year is now available. You can also access it from the "About Us" drop down on each campus site. 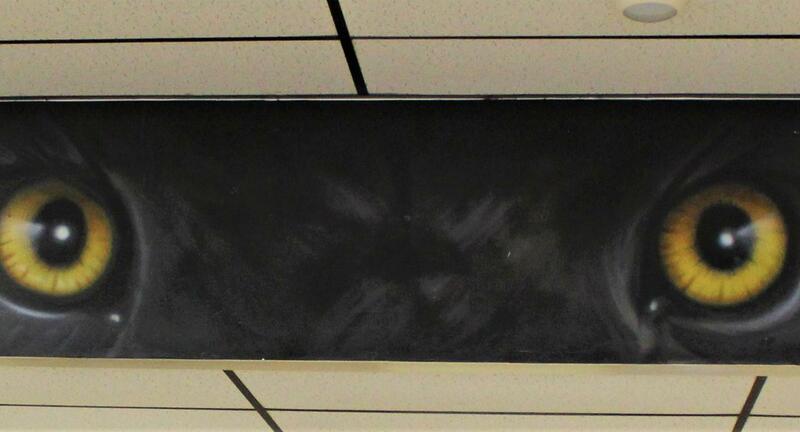 In the May 15th Special Board meeting, the School Board reviewed and unanimously approved the District of Innovation Plan. Richard Bishop was formally introduced to Westwood ISD at the March board meeting. Coach Bishop has come to Westwood as Athletic Director and head football coach for the upcoming school year.